Global Research is publishing what the “progressive” British press has refused to publish concerning the mysterious death of Dr. David Kelly. In August 2010, I sent the letter immediately below in response to a Guardian editorial (see ANNEX 1) and an edited version of my letter was published (see ANNEX 2). In October 2010, I sent a letter (see below the letter immediately below) in response to Vikram Dodd’s article (see ANNEX 3) and despite much discussion no response was ever published, even in edited form. Why are so many people confused about this? It is not a question of whether there should or should not be a proper inquest into Dr Kelly’s death. This is NOT a matter for debate. The laws of this country state very clearly that there MUST be an inquest into any death occurring in the manner in which Dr David Kelly is said to have died. to the required level of proof, even if he had heard evidence under oath, which he scandalously and crucially did not. August 2003. This disgraceful intervention by the then Lord Chancellor, who was unelected and a former flatmate of Tony Blair, constituted a blatant subversion of due process of the law. In the case of Dr David Kelly, the suicide verdict of Hutton is clearly unsafe and may represent one of the gravest miscarriages of justice ever to occur in this country. A suicide verdict effectively closes the case for ever, and if the deceased was in fact murdered stops the search for the murderer(s). It also smears the victim (who obviously cannot defend his reputation), his family and his friends. A suicide verdict should not be reached lightly, and if there is any doubt the Coroner should return an open verdict. The fact that no inquest has been held into Dr David Kelly’s death is nothing less than a national disgrace, particularly when one recalls the context in which his death took place. This letter (see below) was submitted to The Guardian in reply to Vikram Dodd’s Guardian article (see ANNEX 3). The Guardian despite repeated prompts and discussions has refused or neglected to publish our letter. Right of reply, enshrined in editorial guidelines, has thereby been denied. Vikram Dodd’s Comment is Free article of 24 October 2010 has as its headline “The experts are clear on how David Kelly died” followed by “Not a single forensic pathologist has challenged the conclusions of the Hutton inquiry”. The truth is that the experts are far from clear on how Dr David Kelly died, not least perhaps because no inquest has taken place. The continued refusal or neglect to hold an inquest into this important death, which is required by the laws of this country and of Europe, constitutes a blatant subversion of due process of the law. Further, it should be pointed out that forensic pathologists are employed by the Home Office, directly or indirectly. In January of this year the well known London lawyers Leigh Day & Co., representing five doctors, formally requested that the Ministry of Justice allow the doctors and lawyers sight of all the medical and scientific documents/evidence relating to Dr David Kelly’s death which had been secretly classified (at some time unknown in 2004/2005) for 70 years following the publication of the Hutton Report. Despite repeated questions, both before and after the General Election, the Ministry of Justice has been unable to tell us the exact date on which the documents were classified, nor indeed to enlighten us as to the legal basis for classifying the documents, nor for continuing to keep them secret. It is strongly suspected that no such legal basis exists. desire to avoid unnecessary upset to the Kelly family. We need to provide evidence to satisfy ONE reason but the Memorial contains convincing evidence for ALL SIX reasons. Notwithstanding the extremely strong case for an inquest which has been submitted to the Attorney General in the form of the Memorial, we intend as a matter of urgency to set up a fund so that we are in a position to contest vigorously any refusal by the Attorney General for us to proceed to the High Court by judicially reviewing any such decision. It is essential in any democracy that due process of law is followed with the utmost rigour. “This is the lowest point,” Lord Mandelson records Tony Blair as saying after the death of Dr David Kelly. Even those who cannot bring themselves to commend Mr Blair for giving his book income to charity yesterday will find it hard to argue with his grim comment in 2003. 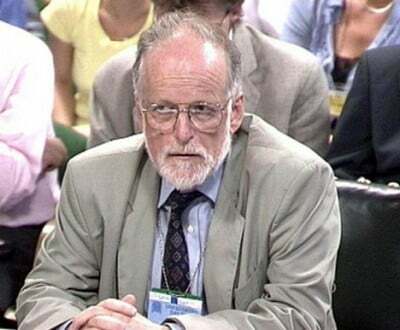 Dr Kelly’s death, after the weapons expert had been outed and hounded over the “sexing up” allegation against the Iraq dossier, was one of the most abject moments in recent history. The death, the intensely political context, and the much criticised Hutton report into the case together explain why, to this day, so many feel so certain that the truth has not been told. And they explain why, whether the doubters are right or not, it remains so absolutely important that the full facts must be public, which at present they are not, and be above suspicion. Last week a group of senior doctors called for a full inquest to be held into Dr Kelly’s death. They charged that the official verdict – bleeding from self-inflicted incised wounds to his left wrist – recorded by Lord Hutton (whose inquiry in effect replaced the normal inquest procedure) was “extremely unlikely”. Most of the doctors’ claims have in fact been made before. Most of them have been challenged before too, as they were once again yesterday in a letter to the Times by a pathologist who cast doubt both on the doctors’ pathology expertise and their theory that there was not enough loss of blood to support the Hutton verdict. The difference this time is less in the substance of the campaigners’ arguments than in their context. In spite of the continuing outrage over the Kelly case no new evidence has actually been produced to support any alternative to Hutton’s verdict. The Kelly family, moreover, have not so far lent their support to the new inquest campaign. But there is a new government now, which might be more inclined to act on the call than Labour was. And the cause is being more ardently promoted than ever by the Daily Mail group, which first asked Mr Blair back in 2003 whether he had blood on his hands. It is reasonable to ask whether, at a time of huge public spending cuts, a fresh inquest with attendant lawyers’ fees would be justifiable. The more so when a significantly different verdict, let alone one which would satisfy those who believe Dr Kelly was murdered, is extremely unlikely. Some people, it is obvious, will never be satisfied. Against that, however, there is the ineradicable importance of these events and the highly unusual denial of a proper inquest in this case. The need remains to get to the bottom of a great public and private agony. A full inquest should be sympathetically considered. But there can be few illusions that it will ever finally lay Dr Kelly’s case to rest. It is not a question of whether there should or should not be a proper inquest into Dr David Kelly’s death (Editorial, 17 August). This is not a matter for debate. The laws of this country state very clearly that there must be an inquest into any death occurring in the manner in which Dr Kelly is said to have died. Further, before a suicide verdict can be returned, it must be proved beyond reasonable doubt that the deceased intended to kill himself. In the absence of a suicide note, it is extremely difficult to achieve this level of proof. Anyone who examines the transcripts of the evidence heard by Lord Hutton can see that the required level of proof was not attained, even if Lord Hutton had heard evidence under oath, which he crucially did not. Further, Lord Falconer inappropriately invoked Section 17a of the 1988 Coroners’ Act, “ordering” the coroner Nicholas Gardiner to “adjourn indefinitely” his inquest into Dr Kelly’s death on 13 August 2003. This intervention by the then lord chancellor surely constituted a blatant subversion of due process of the law. In the case of Dr Kelly, the suicide verdict of Lord Hutton is clearly unsafe and may represent one of the gravest miscarriages of justice ever to occur in this country. A suicide verdict effectively closes the case for ever, and if the deceased was in fact murdered stops the search for the murderer(s). A suicide verdict should not be reached lightly, and if there is any doubt the coroner should return an open verdict. The Hutton inquiry into the factors leading to Kelly’s death heard expert evidence and then concluded the weapons inspector had committed suicide. I sat through Hutton’s inquiry, and have sat through many inquests. Despite Hutton’s baffling conclusion that the government bore no blame for pressurising Kelly, his was a more rigorous inquiry into the death than an inquest. But none of this has satisfied those determined to suggest something more malign was behind Kelly’s demise. What is striking is their consistency in saying the scientific evidence points to Hutton’s inquiry having reached the right conclusion. The Hutton inquiry found that Kelly, 59, died after cutting an artery in his left wrist, had taken an overdose of Coproxamol painkillers and had heart disease which left his coronary arteries “significantly narrowed”. Dr Andrew Falzon, a consultant forensic pathologist with the Forensic Science Service, said Kelly’s heart disease and overdose of Coproxamol meant a smaller loss of blood could kill him than that required to kill a healthy person: “You are going to succumb to a smaller volume of blood loss than if you were a 20-year-old with a healthy heart. “The heart vessel is already deprived of oxygen because of the blockage of the vessels. With the loss of blood [caused by cutting the ulnar artery], there is less oxygen to the heart. Throw in the toxic level of drug, that makes the heart more sensitive to cardiac arrhythmia [an electrical disturbance] which causes sudden death. Kelly’s heart condition made him unable to withstand loss of blood to the extent that a fit person could. The death was “multifactoral”: due to the cut to his wrist, a toxic dose of drugs and heart disease. The Dextropropoxyphene he took was itself toxic to the heart. The forensic pathologist who examined Kelly’s body, Dr Nicholas Hunt, gave the formal cause of death as: “Haemorrhage due to incised wounds of the left wrist”, in conjunction with “Coproxamol ingestion and coronary artery atherosclerosis”.